It seems my hair ends up in a ponytail most days. 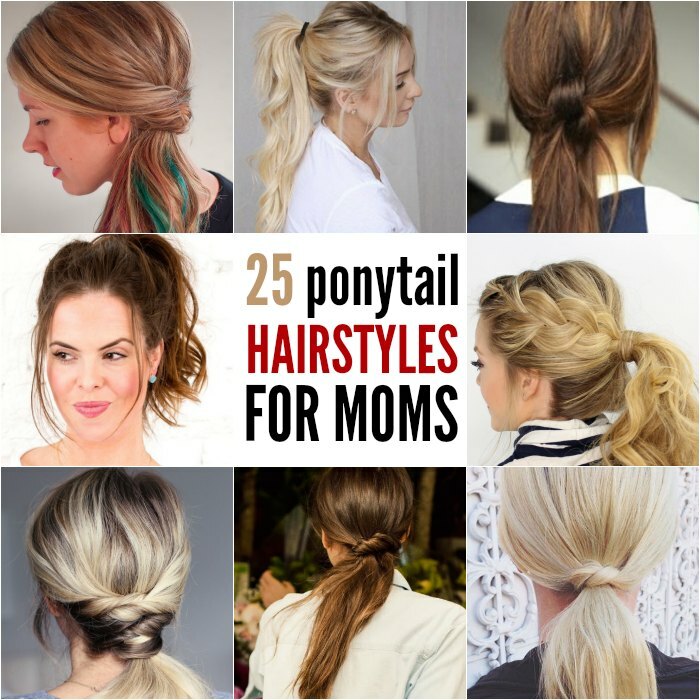 If you are like me and need to jazz up that boring pony tail, check out these 25 quick and easy Ponytail Hairstyles for Busy Moms. You don’t have to look like a tired Mom anymore. 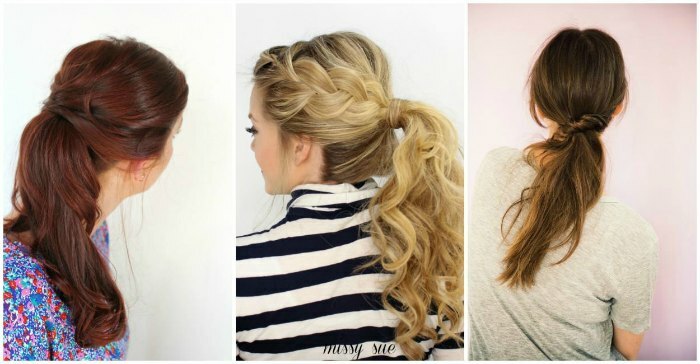 These simple ponytail hairstyles are perfect for those days when you just need to wear a ponytail. Let’s face it, life is busy with the kids. We are doing good if we all get out the door with everyone dressed and fed and to school on time. Fixing my hair is the last thing to get done which means it often just doesn’t happen. My hair gets thrown into a quick ponytail and off we go. With these easy Ponytail Hairstyles for Busy Moms, it takes just a minute to look pulled together. I bet it will make a big difference in your day and your entire outlook. I always feel better when I can take a minute for myself and look put together. From simple mom hairstyles for long hair to mom hairstyles medium length hair, there is something to suit every mom. We even have braided hairstyles for moms! 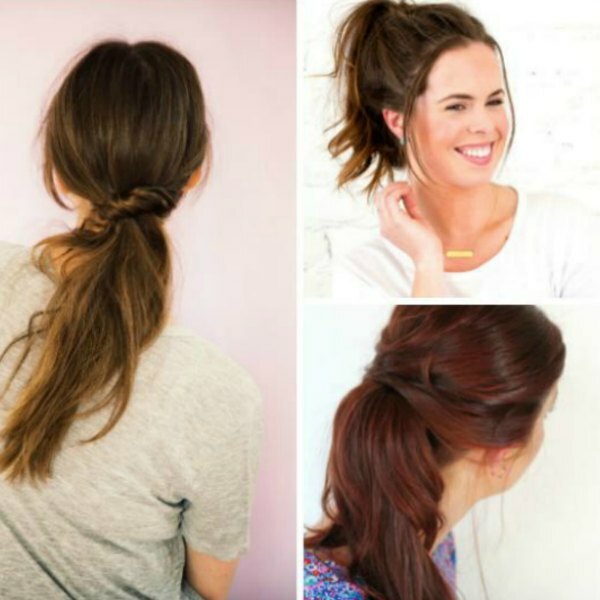 Look fabulous with these quick and easy ponytail hairstyles that require very little effort! Get out the door in the same amount of time but with one of these great ponytail hairstyles. These don’t really take anymore time than a simple ponytail so it is a win for Mom on a busy morning! You might also like to try these Easy and Cute Bun Hairstyles for Busy Moms. There are are lots of cute and easy options to try. Do you want to know another one of my secrets when I’m short on time? This DIY Dry Shampoo is my saving grace these days. I used to buy it in the store but goodness that stuff is expensive. Now, I just make my own DIY Dry Shampoo and it is perfect for blondes and brunettes and will soak up any excess oil in your hair. This is definitely my go to solution when I’m short on time and it’s so easy and affordable to make. 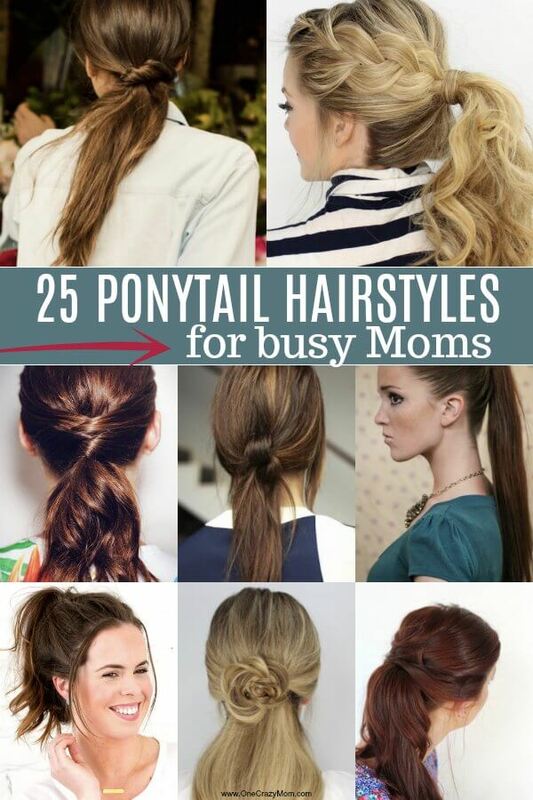 Let’s get started with these Easy Ponytail Hairstyles For Busy Moms! This side french braid ponytail reminds me of a side ponytail but fancier. This is perfect when you want to jazz up a boring ponytail. Long hair will look perfect woven into this gorgeous rosette style ponytail. It is hard to believe this only takes a few minutes. Learn lots of different styles and ways to make a ponytail look impressive and pulled together. These easy tutorials will have you red carpet ready. If a messy ponytail really isn’t your thing, try this sleek ponytail version. This style is perfect for work or when you want to look super polished. A hair band positioned just the right way can take your ponytail to new heights. You will have volume for days with this style. Show off the nape of your neck with this side ponytail style. It is perfect for errands or lunch with your friends. With your hair tied back, simply wrap a strand of hair around the hairband for a finished look that looks totally pulled together. This simple step makes your ponytail look totally polished and you can use a bobby pin if needed. Just add a little twist to your ponytail and suddenly you have a whole new style! Perfect when you are heading out the door and only have a minute to fix your hair. Twist your hair into a simple ponytail that looks styled and polished. If you are a mom on the go, this is perfect for you. If you are looking for lots of ponytail inspiration, try one of these 15 stylish looks to look ready to take on the day. From putting your hair into a high or braided ponytail, you will be set with lots of new ideas. Just a few simple criss cross steps and you have a really cool design going on. Give this a try and your ponytail instantly goes from boring to amazing! Not much time? Try this classic pony tail idea with a twist. It is perfect when you are literally heading out the door. Everyone loves a messy ponytail but the trick is making it look polished. Try these tips for the perfect messy style. Low ponytail style lovers will like this low knotted style idea. Try this on busy days, field trips and more. Ponytail meets braids to combine for a style that is perfect any day of the week. Love this one for any event to look great! This one looks fancy but it is so very simple! It is hard to believe you can look this put together with so little effort. No worries if you have short hair because this ponytail works for you too. You can still pull off a polished ponytail with short hair. Everything gets braided and put into a really cute ponytail. This idea is so simple and great to get hair off your face. If there ever was a perfect pony tail, this is it. It looks amazing and only takes a minute. Try this trick to make your ponytail look textured and have lots of volume. This is perfect for any day of the week. Look chick while rocking a ponytail. This style does not take long at all and you will look amazing. A little braid with a little twist gets put together in a ponytail for a really amazing style. I like this not just for errands but even date night, church and more. No more boring pony tails with this cute tousled style. You will love the volume and style in this one. This classic ponytail with a twist is perfect when you want something just a little bit different. This look is so pretty and perfect for busy days. There is so much style in this twisted ponytail but it only takes a minute to get it done. From start to finish, this look is so simple and easy but looks like you spent a ton of time on your hair. With so many easy ponytail hairstyles for busy moms, you will feel polished and put together everyday! I’m all about quick and easy and these ideas sound easy and stylish! With so many cute ponytail hairstyles, you will always look put together! There are tons of super easy ideas. Whether you are looking for hairstyles for long hair, curly hair or medium hair, there is a perfect ponytail for everyone! Let us know which ponytail styles you decide to try. Next time it is ponytail day, make sure you spend a few more minutes and try one of these beautiful ponytail hairstyles for busy moms. No more excuses! You will love these quick easy hairstyles for moms! From braided ponytail hairstyles to easy hairstyles for moms with curly hair, these easy everyday hairstyles for moms will work for everyone. You will even find hairstyles for nursing moms and easy mom haircuts.